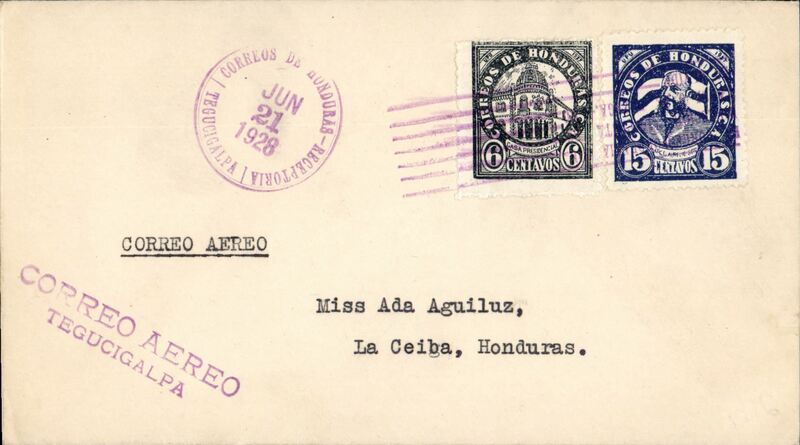 Early internal trial flight, Tegucigalpa to La Ceiba, bs 26/6, via Tela-Atlantida 23/6, violet two line "Correo Aereo/Tegucigalpa", typed endorsement "Correo Aereo". 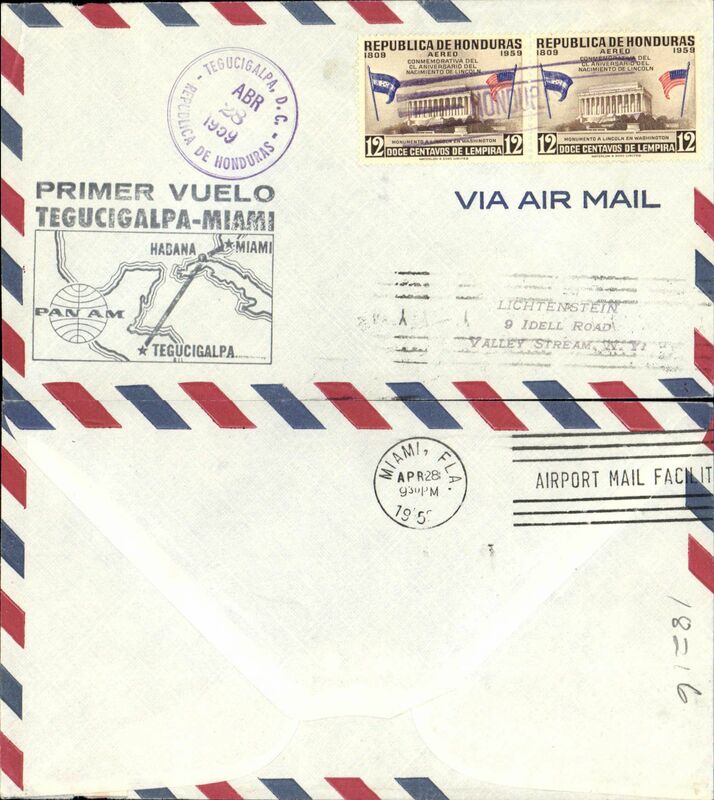 Flown by the Tela Railroad Company which changed its name to Compania Aereo Hondureno six weeks later, see REG Davies, p88. A scarce item in pristine condition. 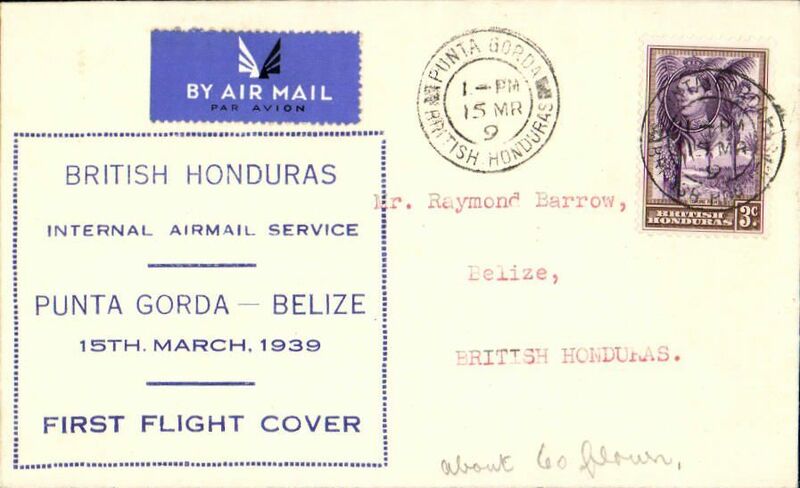 F/F Punta Gorda to Belize, bs 15/3, airmail etiquette cover franked 3c canc Punta Gord cds, large blue framed "British Honduras/Internal Airmail Service/Punta Gorda-Belize/15 March 1939/First Flight Cover". Scarce. Francis Field authentication hs verso.